Originally a slave belonging to a man named Uusu, but became master-less after his death. She became Satou's slave after leaving the labyrinth. 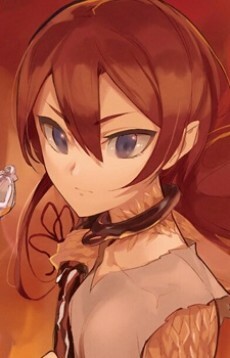 Her forename is derived from her real name rather than the word "lizard" (at least according to Satou), as her real name is too hard to pronounce for human tongues.